Work focused today primarily on feature 15. 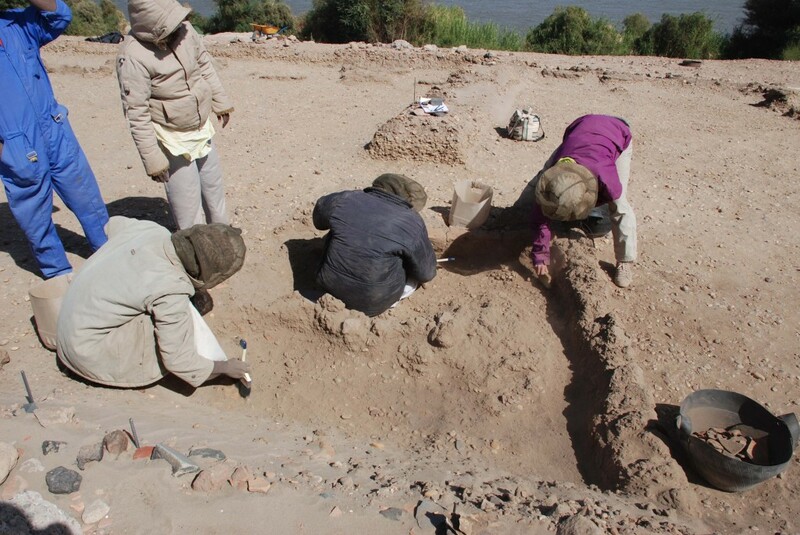 We removed most of the mud brick debris, obviously collapsed into the structure from its eastern wall. Cleaning is still not finished, but the outline of the exposes eastern half of the building has become clearer: not only on the eastern side, but also in the North and South, the bricks are lined at the interior with red bricks. Although the ones which appeared in the South-western corner might have been secondary burnt, attesting firing activities within feature 15, the better preserved ones at both the Eastern and Northern side appear completely fired. 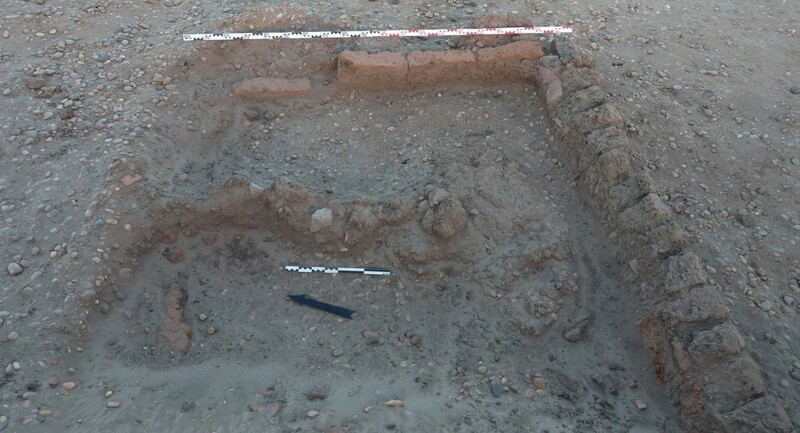 This would definitely suggest a Post-New Kingdom date which is also probable from the finds so far – the filling material comprises a lot of 18th Dynasty ceramics, but also Post-Meroitic and especially Medieval material. Some Christian sherds were found among and also below the collapsed bricks. As far as a functional interpretation is concerned, it is notable that we discovered some charcoal and ashy sand in the western area. The current hypothesis is therefore that feature 15 represents some kind of installation for cooking and/or a firing place – probably set into Building A at a later time, after the New Kingdom. This entry was posted in Archaeology, New Kingdom, Settlement architecture and tagged Sai Island by Julia Budka. Bookmark the permalink. Feature 15 is getting more and more interesting: well preserved and going deeper than thought! 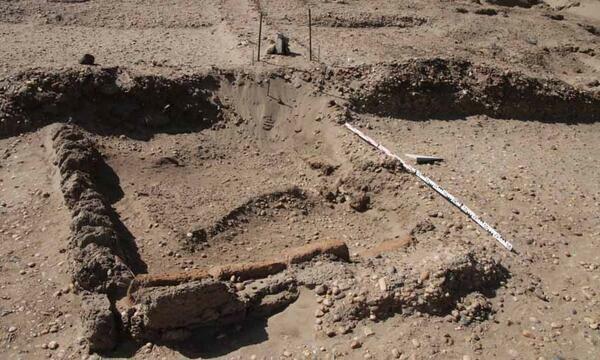 A dating to the 18th Dynasty is now against all previous assumptions very likely… looks as if we have a nice vaulted cellar here! Excavation will continue next year!